Ready for Christmas 2010: Now with over 25 radio stations which will increase to over 40 during the season! Listen to XMAS radio stations from all over the world with a single click. We even found a radio station broadcasting from the North Pole! 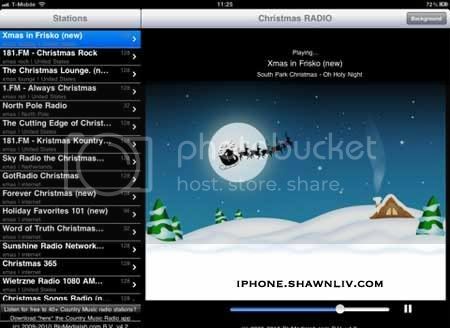 Enjoy this XMAS Radio , free little app!